All that before we head into November and get our tails moving in preparation for our Holiday Sessions! Check out my ad design progression! I was really set on keeping the square dimension but it had to go. We've got 8 of our 10 spots already filled up with both new and returning clients and after our first year of breaking out into the world, we are VERY EXCITED to see what this year will bring! 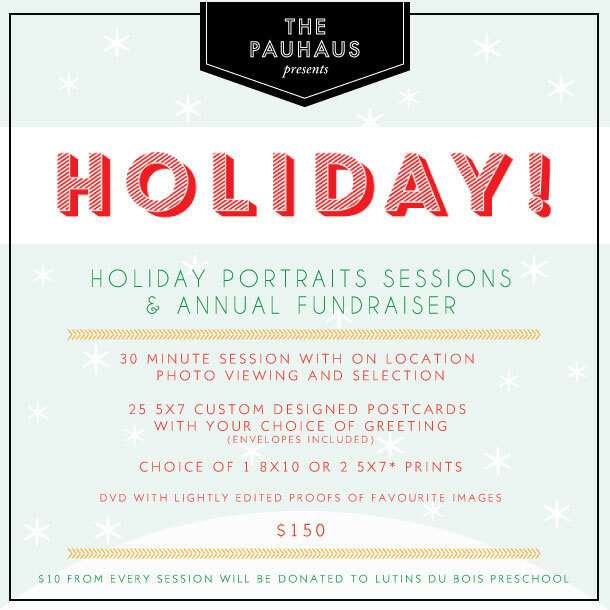 More details to come for our Holiday Sessions! We will be posting our favourite photos from last year's sessions (Shown Above: Cutie Pie Layla) as we get closer to the big weekend so Follow us on Instagram @the_pauhaus and Like our Facebook page to get the latest and greatest news!